We also thank the many individual donors who make our work possible. 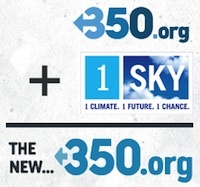 You make a tax-deductible, online donation to 1Sky and help support the call for a clean energy future. Social media icons are created by, or based on work by, Chris Wallace and shared under the Creative Commons Attribution-Share Alike 3.0 United States License.